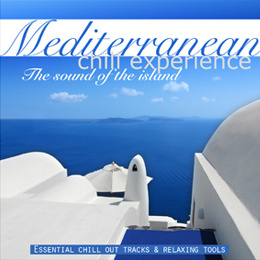 Mediterranean Chill Experience was born in 2009 when three musicians and producers, DJ Puku, David Riberas and Manuel Hernandez created the band to perform a musical journey through the Mediterranean world, capturing its essence in 10 tracks included in their first record, “The Sound Of the Island,” which goes far beyond the classic chill out. This delicious album shows a Mediterranean louge sound, flavored with a touch of flamenco, jazzy or Balearic music according to occasion, and proposes a scene full of warm and evocative images in each of its compositions. 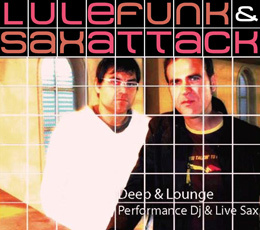 Un formato de directo para los clubs más selectos consistente en sesiones de Deep, Lounge & Downtempo a cargo de LU LE FUNK (deejay) y actuaciones interactivas de SAXATTACK (live saxophone). A diferencia de otras propuestas LU LE FUNK & SAXATTACK combinan las sesiones convencionales mezclando temas de los mejores artistas con sus propias producciones. La actuación ofrece un live auténtico, fusionando el sonido SAXATTACK con las bases electrónicas creadas en directo por LU LE FUNK. The neo crew of the future, based in Barcelona launches its post electronic audiovisual show. 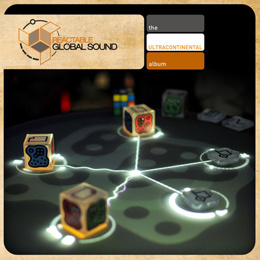 The Reactable, the famous interactive table, popularized by Björk, David Guetta, Oliver Huntemann, Damian Taylor, Gui Boratto among a select few, comes from the hand of Martin eNe aka Le Freak Selector, official performer of the avant-garde Catalan company Reactable Systems, and leader of the first band based on this intergalactic instrument. Where is the limit? Global Beats, World Club, Neo Roots or Electronics Live? Analogical interface or digital instrument? Organic artists with the latest technology. Enjoy the future!